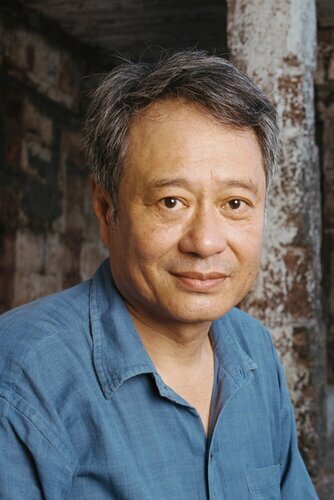 BAFTA Los Angeles is pleased to announce it will honor award-winning director Ang Lee with the John Schlesinger Britannia Award for Excellence in Directing at the 2016 British Academy Britannia Awards. The annual celebration marks the Brits biggest night out in the US, and this year will take place on Friday, October 28, 2016 at the Beverly Hilton Hotel. Recipients of the John Schlesinger Britannia Award are deeply respected, distinctive and innovative directors, whose contribution as both technicians and artists represents the zenith of the directing profession. Past recipients include Sam Mendes, Mike Newell, Danny Boyle, Christopher Nolan, David Yates, Quentin Tarantino, and Kathryn Bigelow. The British Academy Britannia Awards evening is BAFTA’s big night out in Hollywood, where Brits and anglophiles alike come together to take over Los Angeles for an evening to honor individuals who have dedicated their careers to advancing the art forms of the moving image in the US, UK and beyond. This cross-cultural collaboration allows the BAFTA community to shine a spotlight on the Hollywood industry while hosting an evening of fun and British irreverence. The awards are BAFTA Los Angeles’ highest accolades, and a celebration of achievements honoring individuals and companies that have dedicated their careers to advancing the moving image arts. The evening recognizes outstanding British talent or exceptional international talent by virtue of their strong connection to the British industry through their body of work, and celebrate the long-standing collaboration between the British and American industries. The 2015 ceremony took place in October at the Beverly Hilton Hotel and was hosted by British actor and comedian Jack Whitehall. Harrison Ford received the Albert R. Broccoli Britannia Award for Worldwide Contribution to Entertainment, Orlando Bloom received the Britannia Humanitarian Award presented by the Beazley Group, Meryl Streep received the Stanley Kubrick Britannia Award for Excellence in Film, Sam Mendes received the John Schlesinger Britannia Award for Excellence in Directing presented by the GREAT Britain campaign, James Corden received the Britannia Award for British Artist of the Year presented by Burberry and Amy Schumer received the Charlie Chaplin Britannia Award for Excellence in Comedy presented by Kodak. The British Academy Britannia Awards is produced through a partnership between BAFTA Los Angeles and Done & Dusted. Event Production and Management is by MTA Events. Proceeds from the gala ceremony support BAFTA Los Angeles’ on-going education, scholarship, community outreach and archival projects. The British Academy Britannia Awards is a key event in the awards season, which will include BAFTA’s highly anticipated Tea Party in January and the EE British Academy Film Awards in London on February 12, 2017.